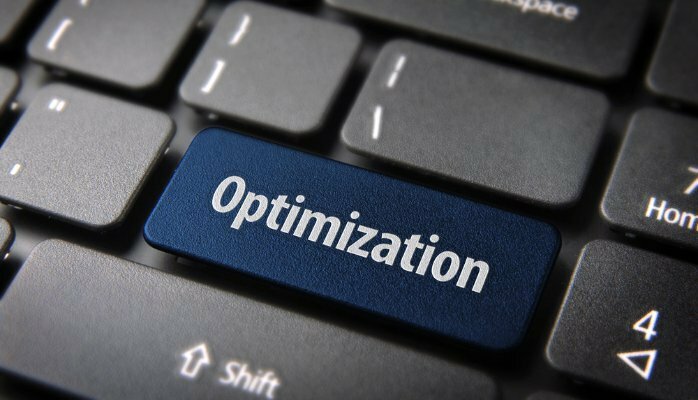 In a massive sea of Chrome plugins that can help you with your online business, it can be difficult to decide what to download and use, and what to ignore. You have all seen those Chrome screenshots where people have half the screen taken up by different plugins that they never ever use! 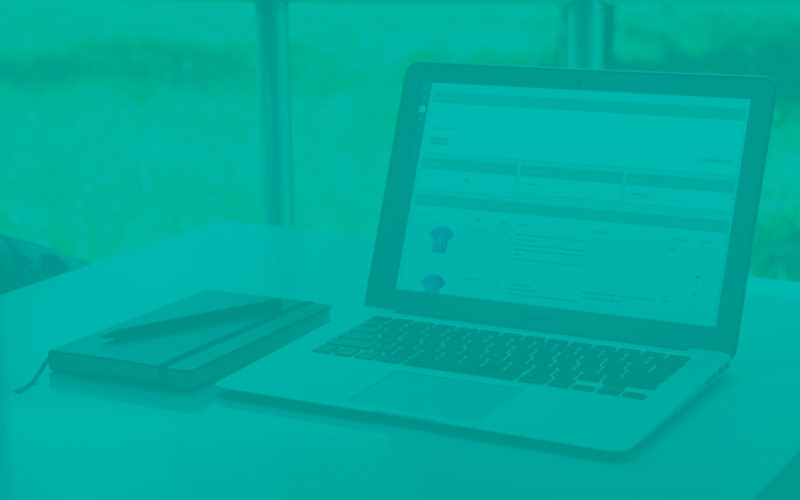 What if there was a plugin that helped you grow and monitor your Merch business and that you used everyday? Would you try it then? 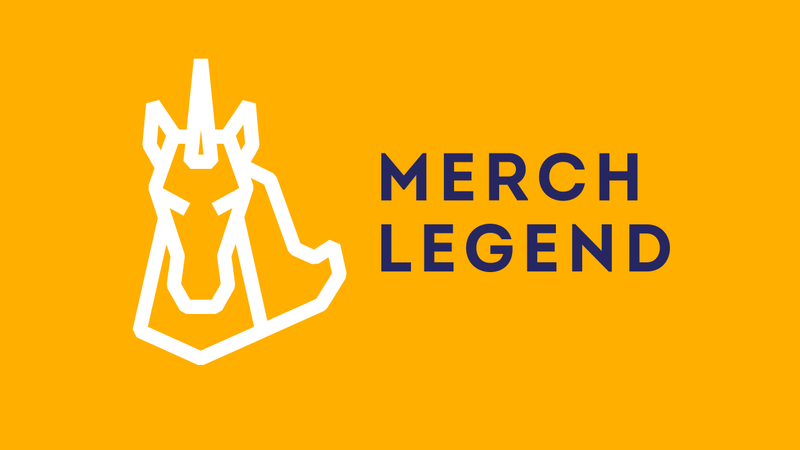 Merch Legend is the newest Chrome extension on the block and it does something important that I have been talking about for a LONG TIME! 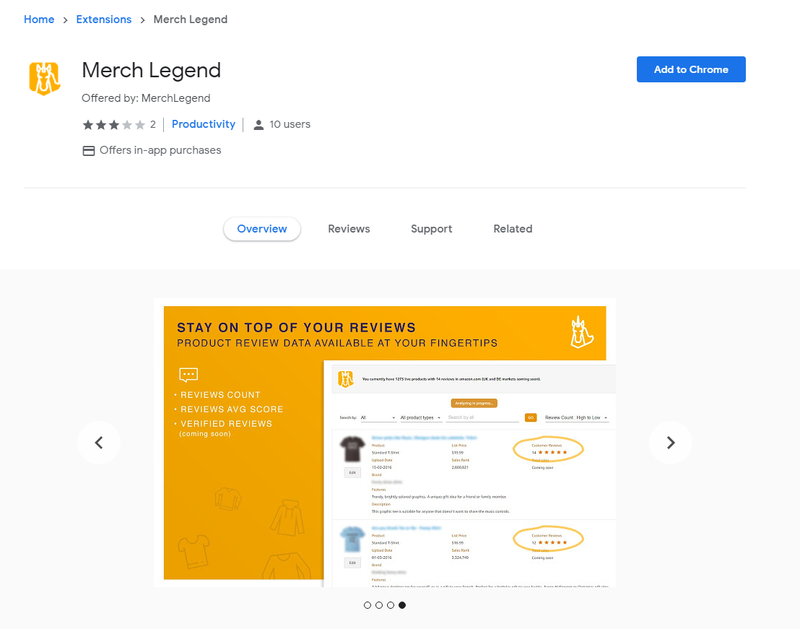 It helps monitor your reviews (which can be the literal life blood of your Merch Business), as well as different functionality not found in any other plugins. The creator of this plugin actually created Merch Checker which ended up saving me, as well as countless others when MBA changed their terms. 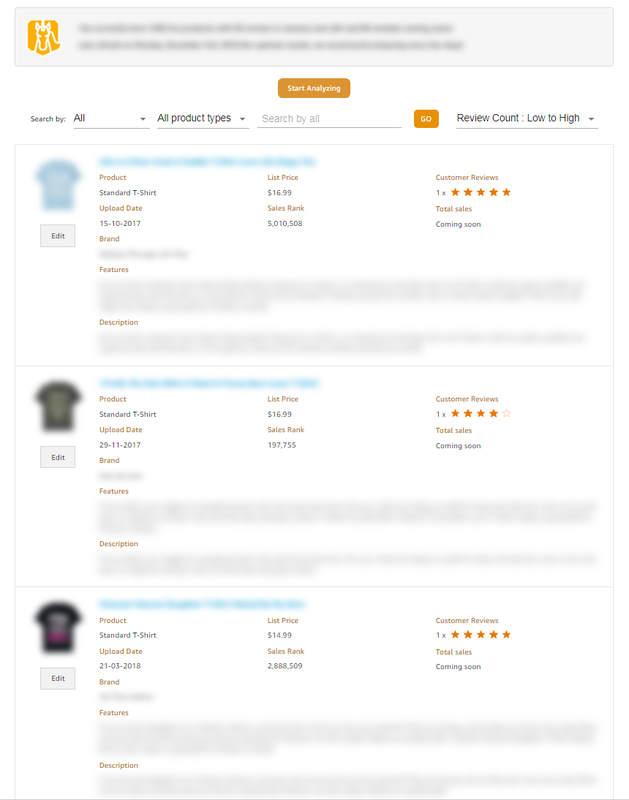 We reviewed it here: Merch Checker Overview. Let’s step through the process of what all is possible. The very first thing you need to is actually go and download the plugin. You can grab it here: Merch Legend Chrome Extension HERE. 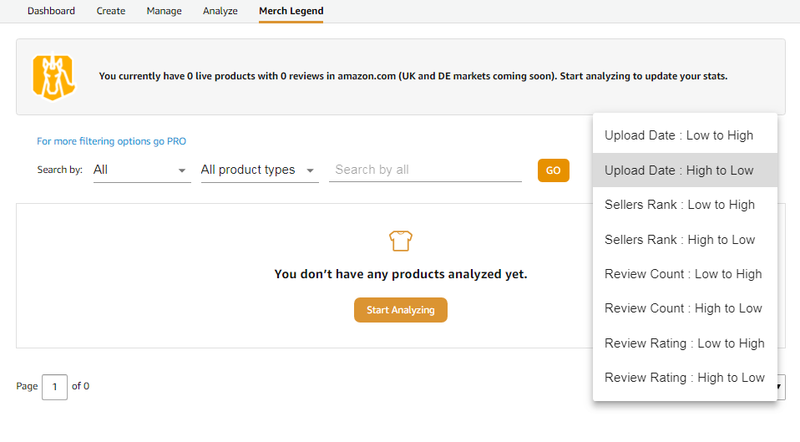 After you download it, you simply need to log into your Merch by Amazon account and notice there is a new tab in the right hand corner right next to “analyze”. 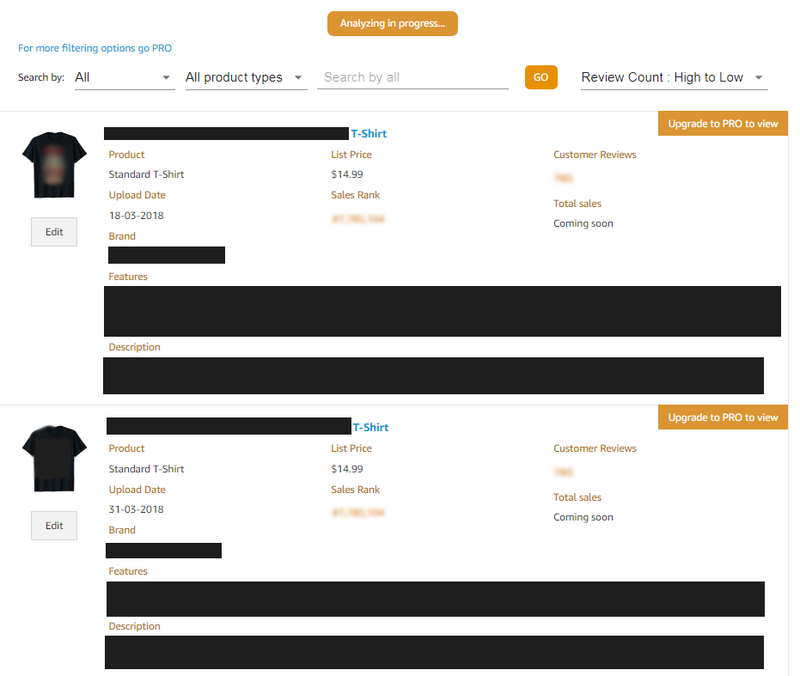 This is where you will find your new Merch Legend dashboard. At first, the dashboard looks completely blank. This is because you will need to click on the Start Analyzing button in the middle of the screen. This will grab all the products in your account and give you a dashboard where you can see ON THE PAGE exactly what your product is, what your bullets look like, and your description. By far, the most important one of these to me is the review count as well as review rating. I have been preaching for years that when it comes down to it, you want to sell as much volume as possible to get those sweet sweet reviews. Keeping track of the reviews though can be a real pain, especially when your account has more than just a few products. Keeping track of your reviews can also actually help you make more money. As soon as you see a product get a higher review rating, or simply more than one review, you can play around with the pricing. 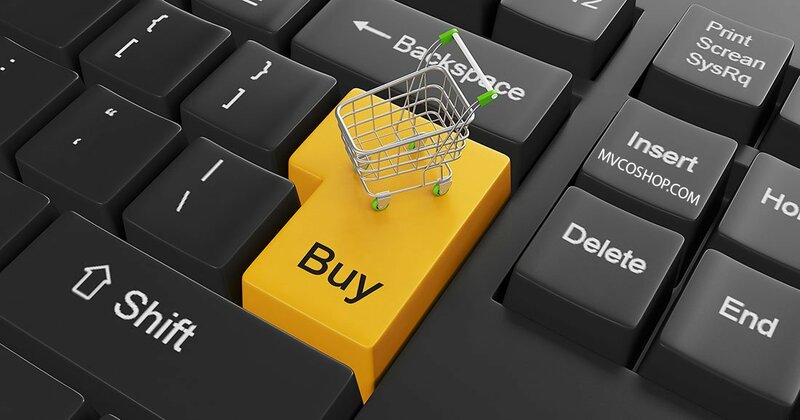 The higher price you can get (with more reviews backing it up), the more money you are going to make. This plugin makes the process of figuring out which products to play with, and which to leave alone so easy. This will grab all the ASINs of your account, and go look them up on Amazon for you (to bring back all the detailed information). This means the plugin is working to bring back all your information and should be available for sorting soon. NOTE: This can take a LONG time for bigger accounts. I would click on Analyze and then walk away for a bit. When you come back, all the information you could possible want will be in your dashboard. As you can see I blocked out the information for the specific listing, but this is how your dashboard will look with all of the sorting options. You can always click on the name of the listing to bring you to the Amazon details page to see all this information as well, but upgrading to the Pro Version of this extension is very well worth it. 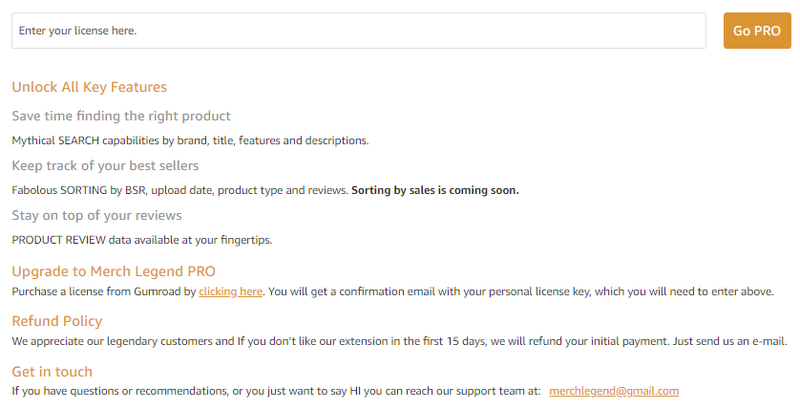 Clicking on the “Go PRO” button at the top, or scrolling to the bottom to click on “Get License Key” will take you to Gumroad. 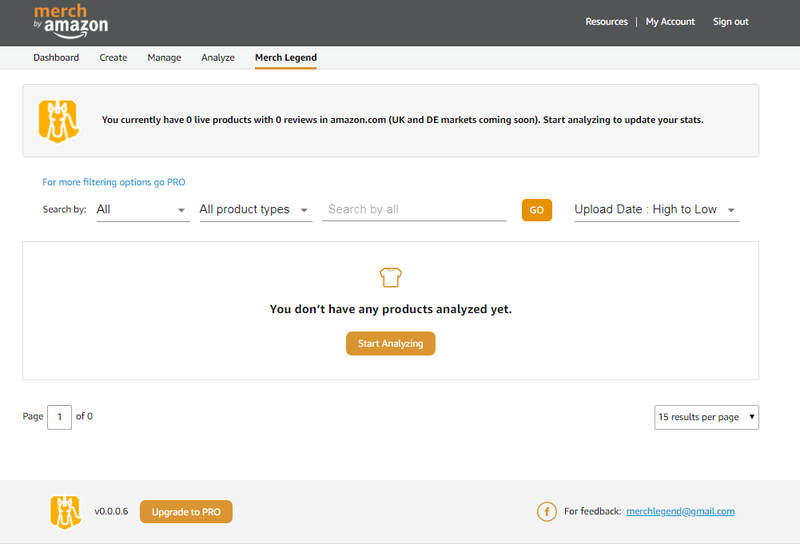 This actually unblurs some of the options but most importantly lets to sort by upload date, product type and REVIEWS. With a single glance, you can keep track of your reviews and use that to make MORE MONEY (which is why we all do Merch by Amazon in the first place right?). Not only does this extension let you sort by reviews, but the other sorting options are gold as well. 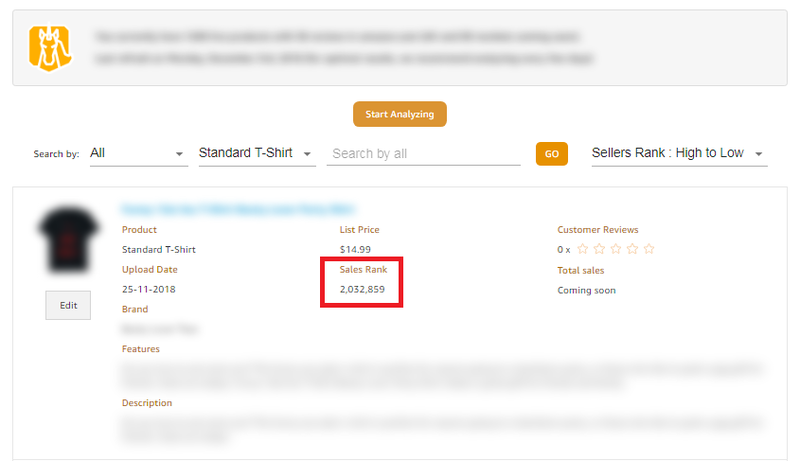 Sort by sellers rank will of course show you your best sellers (but you already knew they were your best sellers!). What I like to do instead if actually sort by sellers rank, and sort the account by high to low. What this is going to show you are shirts that have sold before, but that are not selling WELL. It means there is customer demand there, and the listing might need a little help. The easiest way to get these ranking higher in search is by running AMS ads directly on Amazon. If you are not comfortable setting those up, I would highly recommend checking out our guide on that here. By sorting reviews from low to high, you get this data immediately instead of needing to go through your entire account looking for them. As you can see from the screenshot above, I have some prices that need to be raised. The developer of this plugin is literally top notch and cares. 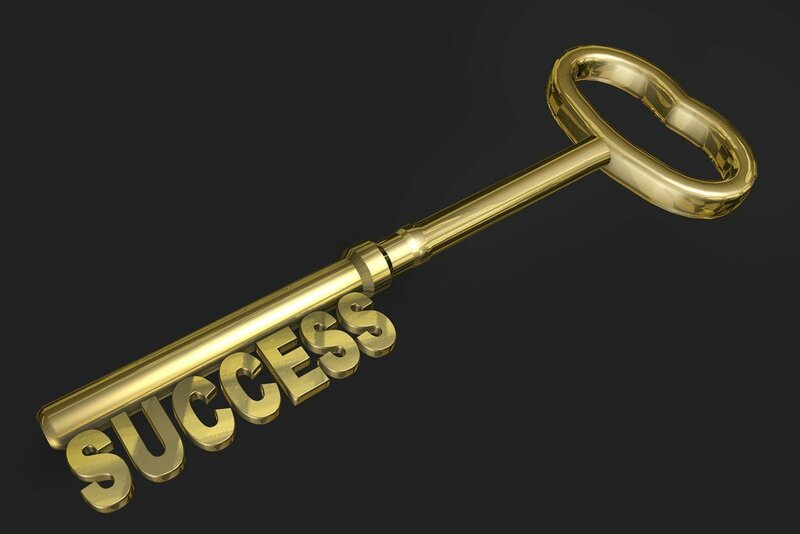 The Merch Checker plugin that we reviews in the past on the blog was from the same developer and that single plugin has helped save countless accounts from violations after the MBA terms changed. If you want to get your hands on an Amazing plugin that I am sure will be supported into the future with more features coming, I would pick this up as soon as possible. Hi Neil, all that’s available is a paid option. I was hoping that I could try it out before I (inevitably lol) buy it. Am I missing something? You can download the free version directly on the gumroad page. Man, I got super excited then realized it wasn’t a part of my merch informer subscription.